The former President was chief guest at the launch of the gallery exhibit of Peace Corps in Fiji at the Fiji Museum on June 28. He said the work that Peace Corps had done gave encouragement, broadened horizons and the com­panionship that they had given to the families were treasured. He thanked the Peace Corps in Fiji for the work they were doing. After the launching, members of the public can now visit the gallery exhibit at the Fiji Museum. 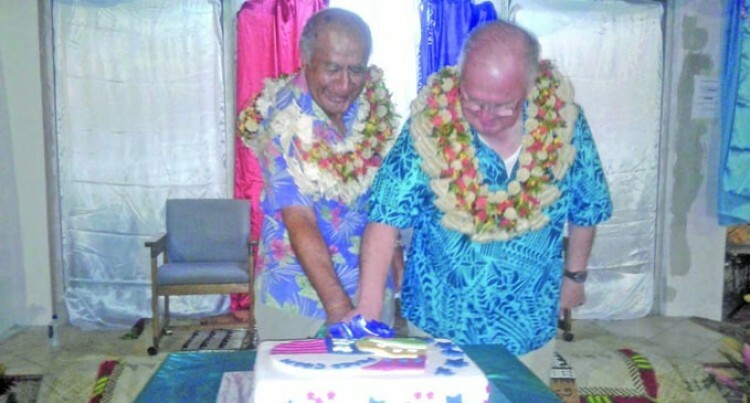 The launch at the Fiji Museum ve­randa was part of celebrations for their 50th anniversary. Peace Corps Fiji country director Dennis McMahon said: “We are launching a gallery exhibit with pictures for last 50 years in Fiji. “The gallery is intended to show some of the images that reflect the different aspects of Peace Corps service here. Mr McMahon said the exhibit, which was launched for the first time showed the volunteers creativ­ity and skills. He said the importance of this event was to build friendship and collaboration between the people of the United States of America and Fiji. He said the Peace Corps started in Fiji in 1968 and had been here all of the past five decades. “We had volunteers over those years to serve in education, agri­culture, forestry and business de­velopment and currently our pro­gramme is on youth development,” Mr McMahon said. The volunteers educate villagers about different aspects of cultures and share their American culture and get to understand Fijian cul­ture at the same time.